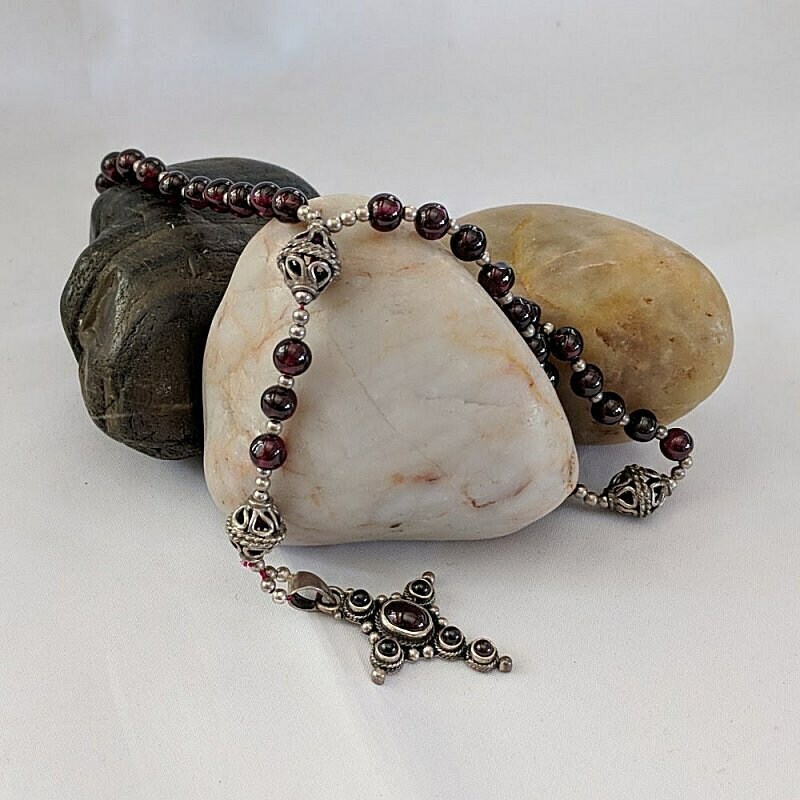 This rosary consists of fifty-three 6mm garnet beads with sterling silver spacers and six 10mm sterling silver paternoster beads, all strung on a heavy silk beading thread. 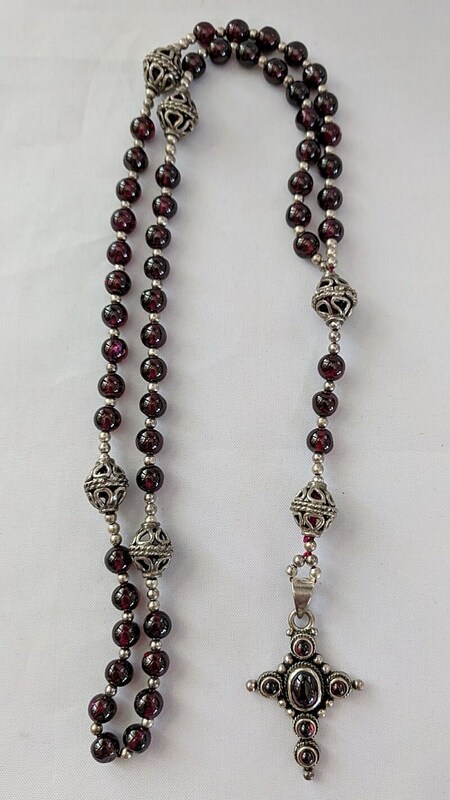 It is divided into 5 decades with 3 antiphon beads forming the "pathway" to the cross. 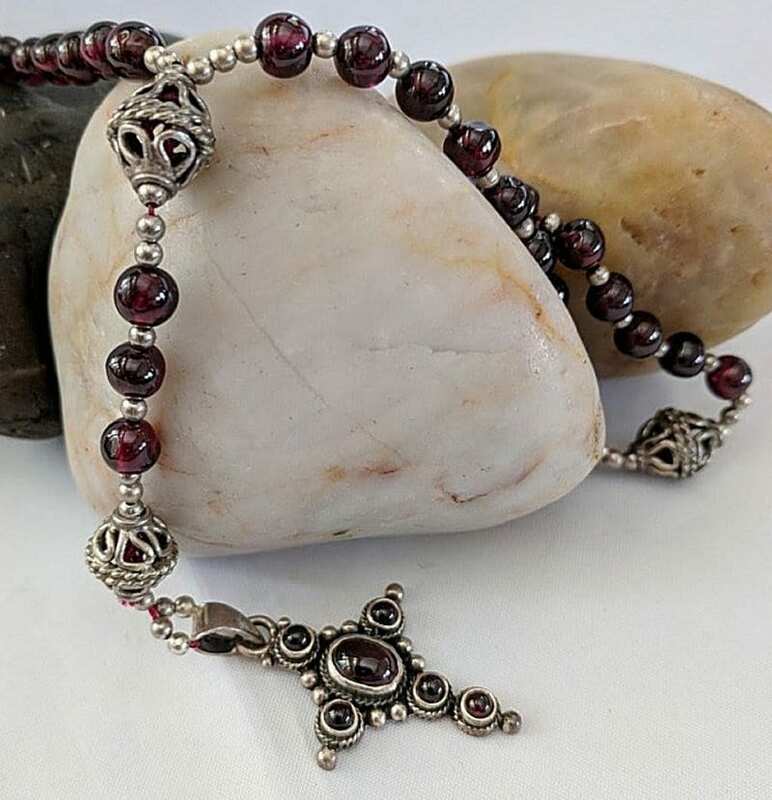 The sterling silver cross contains an oval garnet cab in the center and round garnet cabs on the arms. It measures 26 x 38mm or approx. 1" wide X 1 1/2" high excluding the bail. Shipped in a black pouch. 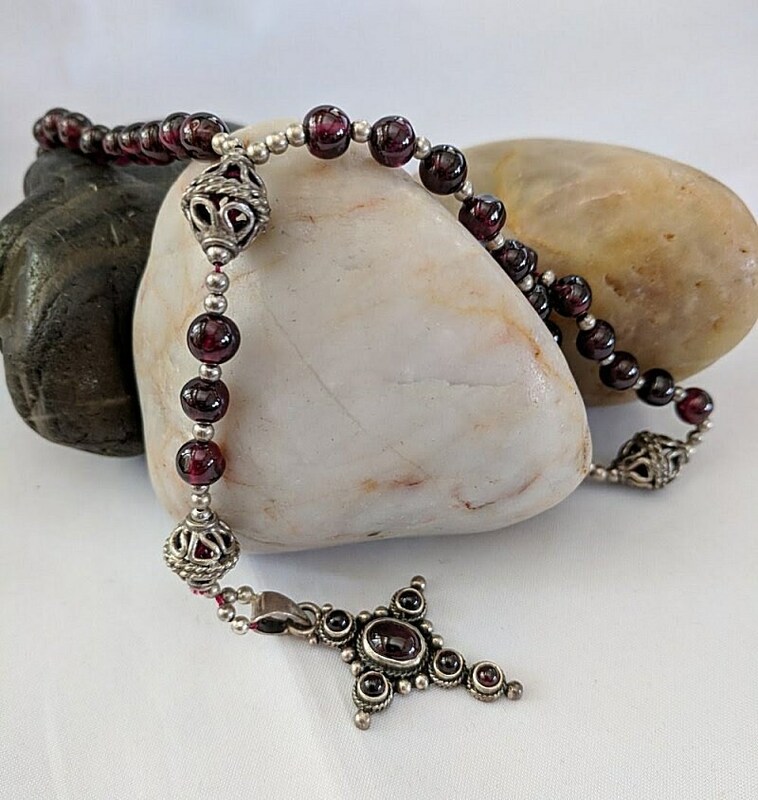 Custom Order - This same rosary can be made with wire links for $50 extra. 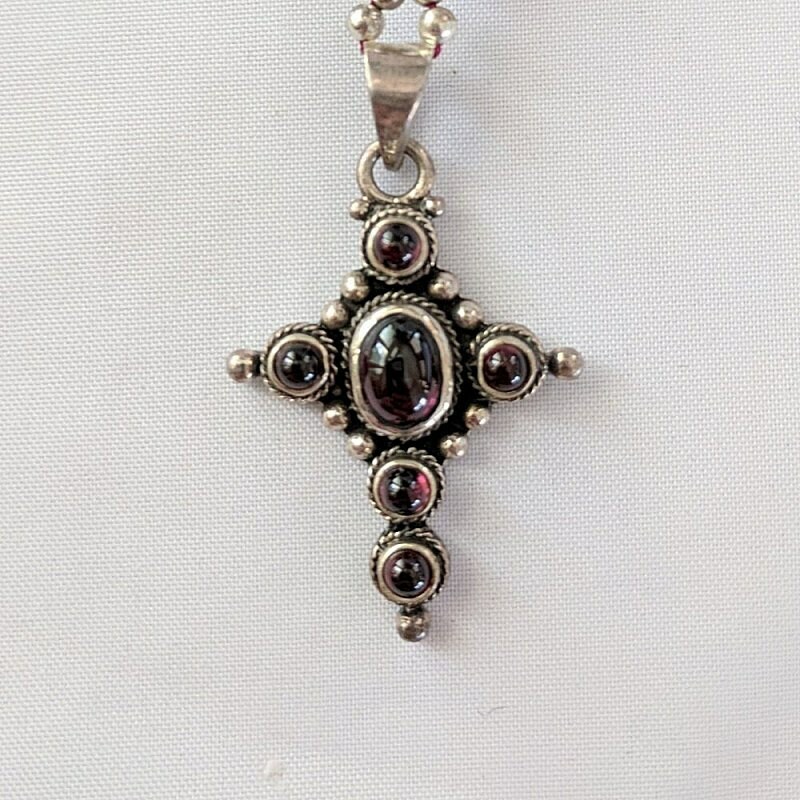 It will not have the small silver spacer beads between each ave and the paternosters. Convo us, if interested. 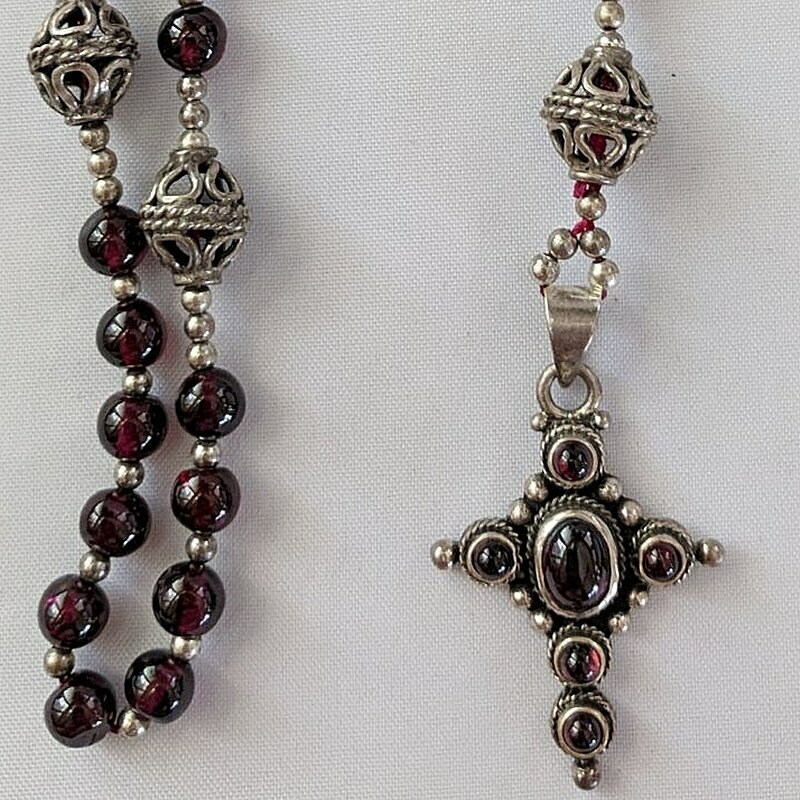 HISTORY: The rosary became standardized in the style of the Dominican rosary with 50 aves, 5 paternosters, 3 antiphon beads and a cross, after the Council of Trent in 1573.